The Arctic Science Summit Week will be held in Prague from March 31th – April 7th. It includes numerous business meetings and science sections. 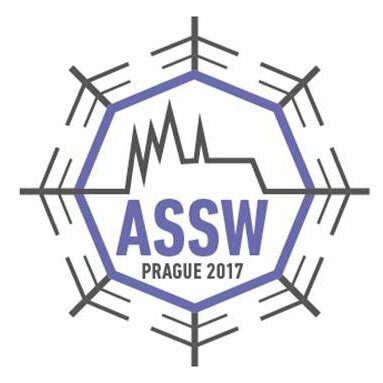 The second Central European Polar Meeting is proposed to be held as one session of the ASSW 2017. It is jointly organized by the Committee on Polar Research of the Polish Academy of Sciences, the Centre for Polar Ecology, Czech Republic, and the Austrian Polar Research Institute, in cooperation with the Austrian Academy of Sciences. The second Central European Polar Meeting will bring together polar researchers including distinguished scientists and the next generation of polar researchers, from Central European countries and around the globe. The main scope of meeting is introduction of all facilities managed by participating institutions in polar regions with focus of description of main running research projects. Dr. Renate Degen (Department of Limnology & Bio-Oceanography, University of Vienna) joined the research group Polar Ecology. Degen’s research focuses on polar benthic ecology. Read more on Renate Degen’s research interests and her research group here. Dr. Petra Heinz (Department of Palaeontology, University of Vienna) joined the research group Polar Ecology. Her research activities concern foraminifera in Arctic marine ecosystems. Read more on Petra Heinz’ research interests and research group here. The latest newsletter of EU-PolarNet gives international readers a glimpse on Austrian Polar Research. Read the full article written by the APRI steering committee here.